El Raval, considered to be the most controversial neighbourhood of the city, is part of Barcelona’s district Ciutat Vella (Catalan for “Old City”), along with the Gothic Quarter, the Born and the Barceloneta. Why controversial? The area houses numerous bohemian bars, trendy restaurants, is home to some of the best museums in all Barcelona, yet it also has a reputation of a “sketchy” nightlife atmosphere with pickpockets, prostitutes, and drug dealers. Is it still possible to convince you to visit it? I hope so, as I highly recommend it! 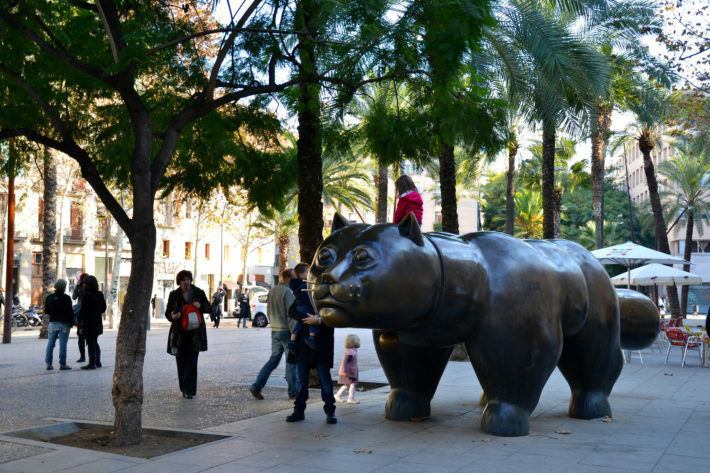 Not so long ago, El Raval was an area where locals from other parts of the city wouldn’t go to, though the plan of the City Council to clean it up and attract different than usual crowds seems to be working. 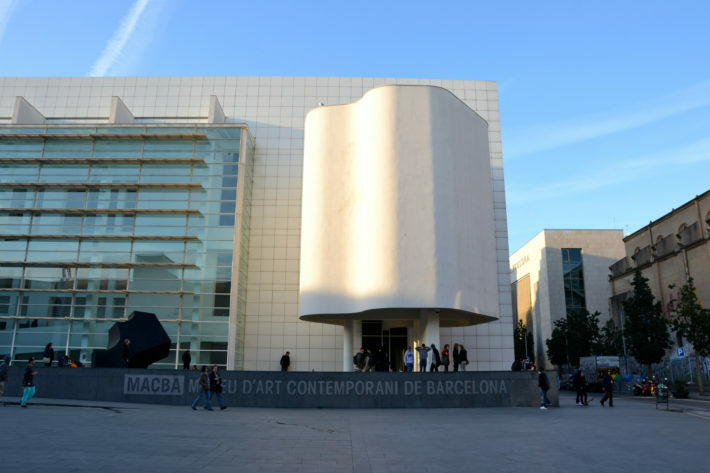 Increasing the culture specter in El Raval resulted in opening such modern attractions as the Museum of Contemporary Art Barcelona (MACBA) and the Center of Contemporary Culture Barcelona (CCCB). As MACBA quite proudly states, it’s “Barcelona’s own take on the Tate”. You know the only way to find out if it’s true, right? Trendy bars – that’s what you will not miss out on in El Raval. From the oldest bar in Barcelona “Marsella”, which once served Picasso and Hemingway, to the quite cheap and therefore a student favorite “ Tavern L’ovella Negra”, lively bar culture is a thing of El Raval. Bars everywhere prove that, but the biggest concentration of them can be found in Joaquím Costa street, which you can spend the whole night in! Some other places to check out: “Betty Ford’s” for the best burgers and cocktails, “Casa Almirall” for the best vermouth with a skewered olive. El Raval can be considered the cheapest area among the Ciutat Vella, and such a pot of arts and cultures, so reasonably priced boutiques, discount stores, vintage boutiques, artsy design stores is what you will find here if you are up for a shopping spree! Stroll along the Joaquím Costa street and the streets surrounding it and find some hidden gems! If you are looking for accommodation in Barcelona, my offer is the beautiful Parlament Balconies apartment! 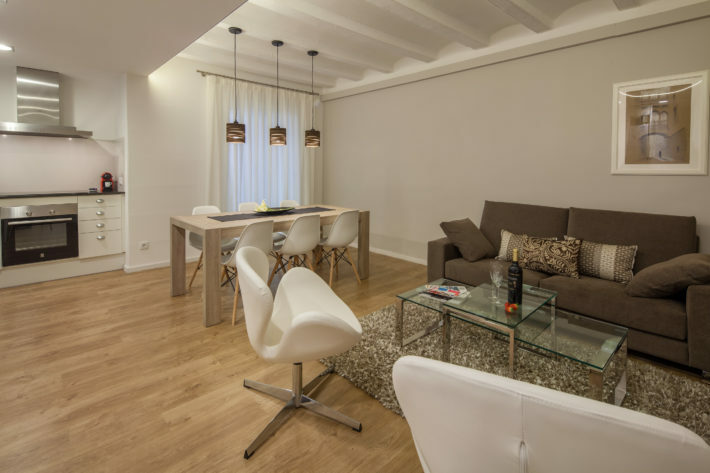 Located not in El Raval, but just next to it, it is a very central apartment and will be a perfect option for a big family or a group of friends!